The QUEST HPV study is an evaluation of HPV vaccine programs in Canada. The goal of the study is to determine whether two doses are as effective as three doses at preventing the four strains of HPV that are responsible for most instances of genital warts and cervical cancer. The study involves teenage girls from across Canada. 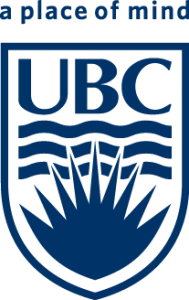 In B.C., the study is led by Dr. Simon Dobson at the VEC. 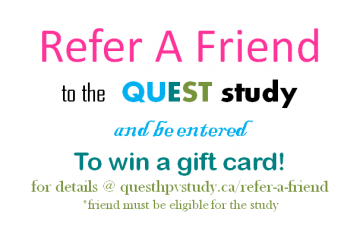 If you would like to refer a friend to the QUEST study, you will have a chance to win a gift card! Click here for more information.